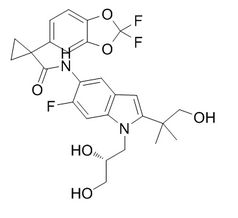 VX-659 is a CFTR protein inhibitor. 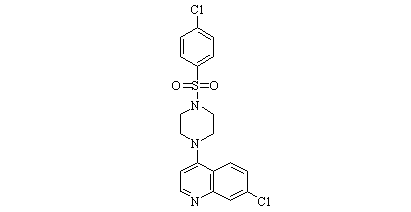 ABBV-2222, also known as GLPG2222, is a CFTR corrector being studied for the treatment of cystic fibrosis (CF). 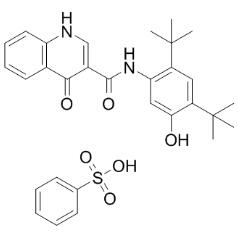 VX-661 is a second F508del CFTR corrector and help CFTR protein reach the cell surface. KM11060 is a mutated F508del cystic fibrosis transmembrane conductance regulator (CFTR) corrector. A potent, orally available CFTR potentiator with EC50 of 3 nM and 339 nM on F508del and G551D CFTR, respectively; shows enhanced efficacy on CFTR mutants harboring Class III mutations compared to Ivacaftor. CFTR(inh)-172 is an reversibly inhibitor of CFTR short-circuit current in less than 2 minutes in a voltage-independent manner with Ki approximately 300 nM. 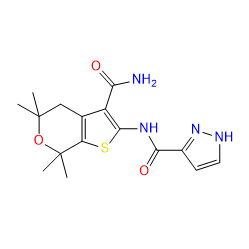 PTC124 is CFTR-G542X nonsense allele inhibitor. 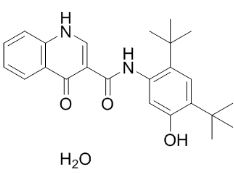 Ivacaftor hydrate (VX-770) is a potentiator of CFTR targeting G551D-CFTR and F508del-CFTR with EC50 of 100 nM and 25 nM, respectively. 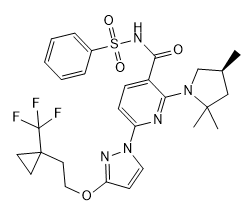 Ivacaftor benzenesulfonate (VX-770) is a potentiator of CFTR targeting G551D-CFTR and F508del-CFTR with EC50 of 100 nM and 25 nM, respectively.